First of all, I want to thank Jen and Kellee for hosting What Are You Reading at their blog, Teachmentortexts.com. I have gotten so many great recommendations from them and from participants. 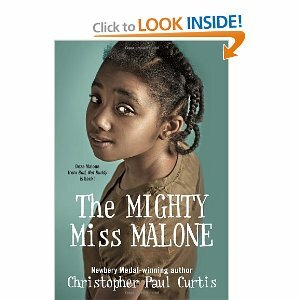 Over the week, I have been listening to the Mighty Miss Malone by Christopher Paul Curtis and I've had a revelation about why I love books. I like seeing and touching and knowing how much more I have to read. In the case of this particular book, I want to know how much longer this sadness will continue. When I read the book, I know how many pages I have left and I have some control over how quickly I read them; I may even skim some in order to make sure that the character is okay, especially if I have developed a strong connection with the character. I find myself wanting the narrator to read faster or to fast forward the disc--but then I won't know if I've missed something important! Students come on Wednesday and reading time will diminish. Thanks again for all of the recommendations throughout the summer! Have some go-to phrases for academic management. "What did you notice?" is a powerful phrase to get students thinking about the process. You can learn a lot about their thinking when they talk about what they notice. "Say more about that" is another one that works well when you want to push students' thinking. Have some go-to phrases for classroom and behavior management. I have always liked providing information--if Katy is talking when she is supposed to be listening, often times saying "Katy, you're talking" is enough to make the talking stop. I loved a recent post by Ruth Ayres where the go-to line was "What are you hoping to get from this behavior?" This post is a powerful one to read and think about! Know how you want your classroom to look. It may not look that way in the first few weeks but have a vision and steer in that direction. This is the bullet under which I would say put the energy into establishing routines and systems for everything--unpacking bags, lining up, sharpening pencils, using bookmarks, putting tops back on markers. This is also the bullet where I would say that less is frequently more during this time of year and there is the law of diminishing returns. Learning is exhausting and your students (and you) have a lot to figure out. Pay attention to the glazed over faces if they show up in your room and allow for some quiet time. Know the difference between an open-ended question and a closed-ended question and work hard to use open-ended ones in your teaching. How do you think the character was feeling? will give you much more information than Do you think Jake is angry? Establish a mentor who you trust--someone with whom you can wonder, analyze, wonder again, re-analyze... And have those wonderings be more than just wondering where to get more chart paper. Establish a relationship where you can wonder about the work you are doing with students and process what's working, what's not working and why so that you can make some intentional changes. The amount of information and resources for teachers is infinite. Between district curriculum, the internet, twitter, pinterest, blogs, and more, there are millions of free ways to supplement your teaching. Know where you can go for information and ideas but don't try to do it all at once. Just as your students need time to integrate knowledge, routines, and information, so do you. Take time to eat and exercise and honor your personal relationships. Don't under-estimate the importance of personal happiness and joy in your teaching. Haim Ginott's quote hung on my bulletin board in my first classroom. Enjoy your first weeks of teaching. Your work is so important. Oh! And as always--if anyone out there have other bullets to add, please share them! 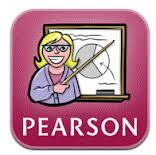 On Thursday's, we post a different app that we recommend for teachers and/or students to use in the classroom. Since we are getting ready to begin the new school year, and some of you may have recently purchased an iPad, I am reviewing my Top 5 apps that I love to use! 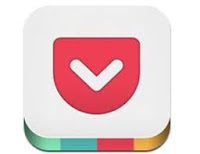 Click on the app links below to read how I use the apps and why I love them! This is part two of my take-aways from Chris Lehman's section at the TCRWP Writing Institute. For Part 1, click here. In addition to discussing ways we can support both striving and disengaged writers, we also spent a lot of time talking about informational writing and student research. During informational writing units, it never fails that we face the challenge of note-taking vs. copying. When students are researching a nonfiction topic, their notes sometimes look a lot like text whether they copied verbatim or restated the facts. Chris taught us a strategy called, "Read, Cover, Jot, Reread," that helps deter students from copying and teaches them how to take notes effectively. This is a simple, yet powerful strategy that I am definitely using with my students this year. Read - Model reading a page from your nonfiction text using a document camera if you have one. As you read aloud, model how you visualize as you read because getting images in our minds helps us understand our reading better. 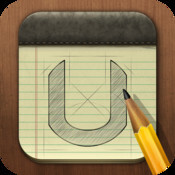 Cover & Jot - Cover up the page you just read and jot down, on the document camera or chart paper, your notes of what you remember from the text. Reread - Stop jotting notes and open up the page to reread, looking for key concepts or vocabulary you may have missed the first time you read it. Then model adding in the technical vocabulary to your notes so you can sound more like an expert when you share your learning with others. We also talked about teaching students how to determine which note-taking strategies to use for different texts. For example, if we are reading a compare/contrast article, we may want to set up our notes using a two-column chart or a venn diagram. Chris shared a lesson we can use to help our students get their minds ready for note-taking. During this lesson, you can read aloud the beginnings of different sections and ask students to turn and talk after each one to share how they might organize their notes for the text. You can continue this to teach students how to determine which note-taking strategies to use for different text structures. You can also have a bulletin board displaying different ways students are taking notes and how it matches the text structure/purpose. 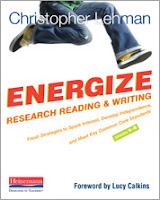 My morning session, at the TCRWP Writing Institute last week, was with Chris Lehman - I have lots to share! During the week, we discussed ways to support our striving (instead of struggling), disengaged, and reluctant writers, as well as how to support students with informational writing and note-taking. In this post, I will focus on strategies for helping disengaged writers. Stay tuned for a second post this week on strategies I learned to strengthen and energize our students' informational writing. We have all heard, "I have nothing to write about," in our writing workshop or have seen students go to the bathroom, sharpen pencils, walk around, talk, and everything else they can to avoid writing. Below are some strategies Chris Lehman shared in both his book, Reviving Disengaged Writers, and during his session at the TC Writing Institute. Make sure you model for everyone by aiming for a variety of tones in your demonstrations (funny, gross, emotional, and so on). Think about what topics are "burning" inside of your students that they may love to write about. Model writing about topics and situations that happened around the same age as your students so they can relate to your demonstration and use it as a mentor. Chris also suggested that you can write about "now" moments, but repackage them by replacing people in the moment so it is set at a younger age (change spouse to parent or sibling, change adult friend to childhood friend, and so on). Have compliment conferences with striving writers to help increase confidence since they probably have a lot of experience feeling like writing is not for them. Compliment conferences help make writing a more positive experience. In a compliment conference, you only compliment and don't get to the teaching part of the conference. For example, you may reread a line from the students' writing like you love it; compare their writing to an authors writing; treat it like a teaching point, but just tell them what they did and how they did it; act as though you are the reader by explaining what their writing made you feel as the reader and point to a specific part. Make goals measurable since striving writers often find it challenging to name and understand the qualities of writing. For example, students can make a goal/plan at the end of the mini-lesson for how they will use the time during writing workshop. It helps if the self-assignemnt has both numbers and words (how many ideas will you collect? How many entries will you write? How far down on the page will you write? and so on). Then stop mid-way during writing workshop to have students reflect on their goals to see what they need to do in the last 15 minutes. Make writing about experimentation by trying to see what works and revising. Have small sheets of paper available so when students want to try out things in revision, they can take two sheets of paper to try two different dialogue strategies, or two different beginnings, and so on. Model uncertainty in some of your mini-lesson demonstrations by showing how you work through hard parts in your own writing. Have students re-teach conferences to classmates. To do this, have a writing conference with a student as you normally do, but tell the student that they are going to reteach the conference to a classmate at the end of the conference. When the conference is over, call over a second student and watch the first student re-teach the conference. This is a great way to examine your own teaching as well as see what students transfer and internalize from your teaching. 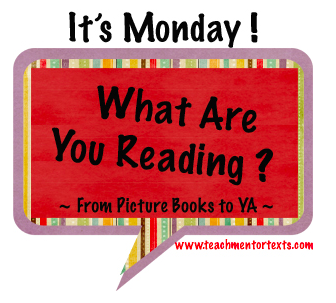 Thank you to Jen and Kellee at teachmentortexts.com for hosting the Monday ritual of sharing what we read. I love to head over to their blog on Mondays and see what others are reading and recommending. Most of my reading has been professional this week, but I did squeeze in a couple of fiction books. One of my favorites was Shooting The Moon by Frances O'Rourke Dowell. Set during the Vietnam era, Jamie Dexter is a self-dubbed army brat with strong opinions and convictions. Throughout the book, her voice is clear and honest, reflective and funny. She and her brother loved the army so TJ enlists as soon as he turns eighteen. Since he is a photographer, TJ sends rolls of film from Vietnam and Jamie learns by developing them that war wasn't how they had envisioned it. Some of the descriptions of Jamie developing the pictures or of her looking at the pictures would serve as great mentor passages. Frances O'Rourke Dowell also does a masterful job of creating dynamic conversations--I especially loved the conversations that Jamie had with people while playing cards. This would be a great book for an upper elementary library--some descriptions of violence and injuries would worry me for younger students. While the family conflict centers on the Vietnam War, Shooting the Moon is more about family issues, friendship, and personal growth and could be used during a social issues unit as well as a historical fiction one. I have found myself missing Jamie Dexter, an indicator of a great book. Last week, I was at the Teachers College Summer Writing Institute so I missed sharing my reading last Monday, but stay tuned this week to hear more about my learning at the TC Writing Institute! 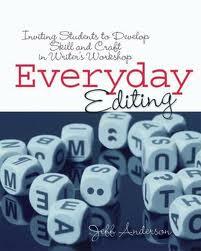 One professional book that I loved reading last week is Everyday Editing by Jeff Anderson. One of my goals this year is to integrate editing instruction into writing workshop more often, to help students develop their editing skills as writers in meaningful and purposeful ways. This is the book I packed with me for my train ride into NYC last Sunday and am so glad I did! It is a practical, user-friendly, organized text that will be a go-to resource for me this year for editing instruction. In the introduction, Jeff Anderson explains how editing is more than just the checklists we hang in our classrooms or the ones we give to students and it is more than just a stage in the writing process. Throughout this book, he explains and shows us how editing is a process, not a stage, and that we need to invite students into editing. I love his point that authors don't spend time looking at sentences with errors on overheads or worksheets, so why are we teaching our student writers that way? Instead, Jeff says we should collect great sentences from books to share with students and invite them to notice and imitate how the sentence is written. Then he invites students to collect sentences from their own reading to see how the authors of their books use the conventions they are noticing and studying. Students can share and celebrate their sentence findings with their classmates on a bulletin board, in their writers notebooks, or charts. Then students are invited to try out the conventions in their own writing during writing workshop. In this book, there are ten complete editing lessons that include commas, colons, capitalization, apostrophes, paragraphs, and so on. love how Jeff Anderson shows us how editing is a process and how we need to invite students to notice, imitate, and collect great sentences using a particular convention being studied to help them try it out in their own writing. I will definitely be doing more of this, instead of simply showing students incorrect sentences where they need to find the errors and correct them. Clare is my third daughter and will be in eighth grade this year. She has been the easiest daughter to inspire to write. Clare has always liked to write and we have all always loved her voice. When she was in second grade, she wrote a poem called "I wonder", listing many of her wonders and ending with "I wonder about you." She had loved Eloise Greenfield's Honey, I Love and had modeled it after that. Clare has been working on a novel this summer and I have to say that she has been a major source of inspiration to me. In an earlier post, I mentioned the prototypes of writers that we sometimes have in the classroom and Clare is the child that sometimes writes and writes and never quite has time enough to get her entire story out within the time limitations of class. Teachers love to read her stuff but sometimes don't have time for it because there is so much of it. From spending time with Clare, I know that she thinks about her writing during the day. Because of the family dynamics and activities, I have spent a lot of time alone with her and she and I have talked about her book. She has verbalized the plot, the important aspects of the characters, and the background information that her readers should know about prior events. She has used these conversations to propel her nightly writing and, more than any of us, she is the family member who continues to write after we have all shared and sometimes writes during the day. What has struck me the most is how well Clare knows her character and that Clare was not initially sure how the story would resolve itself. When we have talked about her plot, she has sometimes answered that "I haven't quite figured that out yet. I have to see what happens first." Because I am a special education teacher, I have worked with many students who write too little or lose their way in their writing. Therefore, one of my fallback teaching strategies has been to have students fill in their stories but first determine the first event and the last event. Clare's work this summer has reminded me that sometimes, writers discover what happens in their stories as they write it. Please be clear--I don't think that this happens for all students or all writers. One of the members of my writing group is extremely plot-driven and I don't think that she deviates much from her initial outline. However, in On Writing (LOVE this book! ), Stephen King shares how he creates situations for characters and then writes in order to see how those characters will resolve the situations. When I read this part of his book, I understood and appreciated Clare's uncertainty about her plot so much more! In my own writing, Clare has reinforced for me the importance of knowing our characters. She and I have spent time answering the questions that Kate Messner posed in a post about creating characters that we loved. I have been working on revising a novel I started a few years ago and it has changed dramatically this summer because I have, like Clare has, taken the time to get to know my character. What great inspiration from my daughter! Today is day three of the TC Writing Institute and I have so much to share already! Each afternoon, I can choose a closing workshop to attend out of a pretty extensive list of choices (wish there were more of me so I could attend them all!) Yesterday afternoon, I attended Kate Roberts' closing workshop on Pop Culture, Media, and Technology in Writing Workshop. First, I have to say that Kate Roberts is brilliant and my district is extremely fortunate to have her as one of our staff developers. When I saw that Kate was teaching this workshop, I circled it immediately because I am now ready to try out incorporating media into my mini-lessons this school year. Kate started off by stating that our students are immersed in pop culture in their daily lives so we need to think about how we can tap into that and use in our classroom instruction. She shared the great idea of giving students a questionnaire at the beginning of the year that asks for their favorite TV shows, movies, music, and video games so we can then use that information to help us search for videoclips of media that interests our students. Using Pop Culture for Engagement - Think about how we start off our mini-lessons and fold some pop culture into our connections. For example, we can connect trying hard to get to the next level in a video game to having that same spirit in our writing. We can use the information from our media questionnaires to help us search on YouTube for short scenes to use. Transferring Literacies - use what they do when they watch TV and transfer that into their writing. We can use videoclips as a demonstration text to show how writers use a particular skill or strategy. For example, to show how writers use backstory in narratives we can show a video clip and have students pay attention to the dialogue and how people act to help them gather information about the backstory. Can also show a videoclip and have students pay attention to the character's claim and reasons and then chart them with boxes and bullets. Creating Materials for Publication - We can get our students to make comics using ComicLife, make iMovies, create podcasts, and so on. 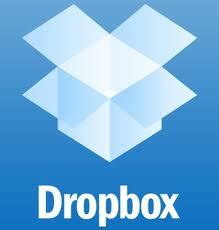 One option is to have students work on this for homework so it doesnt eat all classroom instructional time. We can also devote time at the end of the writing unit for this kind of media work and ask students to translate their writing piece into a different form of media. Building Community or for Assessment - Some examples of ways we can incorporate more technology and media in our classrooms is to use blogs, wikis, Edmodo, and Flip Cameras. I would love to hear how you incorporate pop culture, media, and technology into your mini-lessons so please share! I look forward to trying out all these ideas in my minilessons this school year - Thank you Kate Roberts! I've had a harder time finding my blogging rhythm over the summer but Jen and Kellee at teachmentortexts.com have kept me going on Mondays with It's Monday! What Are You Reading? I love going over to their blog and seeing what other people are reading.What a great resource this has been for me! 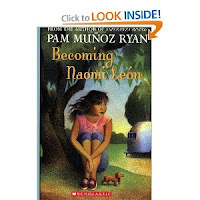 Over the week, one of my favorite books I read was Becoming Naomi Leon by Pamela Munoz Ryan. My daughters loved it when it first came out but it slipped off my radar. I started listening to it but had to get the hard copy because I wasn't driving enough! I loved the characters in this book and, as a writer, admired how well the Pamela Munoz Ryan knew them and what had happened to them in the past. 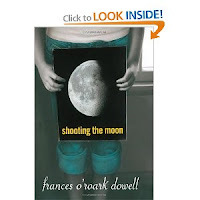 Ten Miles Past Normal by Frances O'Roark Dowell was another book I loved. As a writer, I loved the descriptions, characterizations and the honest voice of Janie, a high school freshman who is struggling with transitions and fitting in. This is a great book for strong upper elementary readers since the narrator is older but the book remains completely wholesome! I also enjoyed Dreamsleeves by Coleen Murtagh Paratore. Set in the 1960s, the main character has a wonderful voice and an increasingly difficult life because of an alcoholic father. 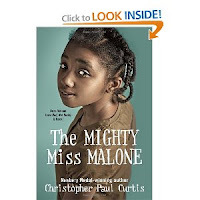 Some of Aislynn's issues are a little heavy for younger elementary readers but fifth and sixth grade girls would like this book and she is a creative, innovative, honest and brave protagonist. A Corner of the Universe by Ann Martin surprised me because of the seriousness of the issues. This book is also set in 1960 and Hattie, the main character, meets an uncle she never knew about because of his mental illness. This is a great book for talking about ethical decision making, empathy, and how much society has changed insofar as how we treat people with mental illness. However, if you put it in students' hands, be aware that it is really sad. My twelve year-old loved this book but I'll wait to give it to my ten year-old. Two more weeks of summer for me--straining out all I can of relaxed mornings, great reading, daily writing, ripe tomatos, and warm ocean waters. Happy August to all of you! In addition to my morning and afternoon sessions, there will be a variety of closing workshops available daily and keynote speakers so it will be a week full of learning! 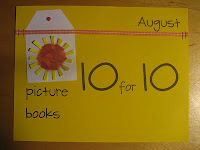 Thank you Cathy Mere and Mandy Robek for hosting this Third Annual Picture Book 10 for 10 Event (#pb10for10)! 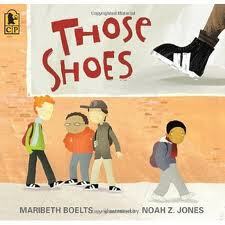 I LOVE Those Shoes by Maribeth Boelts. I also love her new book Happy Like Soccer that was recently published in May (like how I snuck in another title? :) ) I love how Maribeth Boelts creates strong characters that come alive for our students and that deal with similar issues our students face. I use Those Shoes beginning in our character unit and refer back to it during mini-lessons in reading workshop and as a mentor text in writing workshop throughout the year. 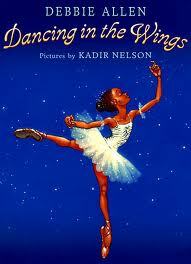 Dancing in the Wings by Debbie Allen is another picture book that I read aloud in our character unit and then refer to it in our social issues unit and use it as a mentor text in writing workshop. I love how "real" the main character, Sassy, is and how she is also dealing with issues that our students face in their lives. It's a great book to show the importance of perseverance in life and working hard to reach your goals. 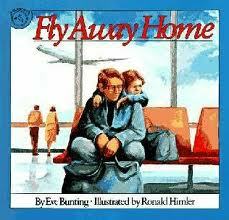 I have always loved reading aloud Fly Away Home by Eve Bunting and have read it aloud each year since I began teaching over 12 years ago. It is a powerful book that deals with many social and family issues. I love the symbolism in this book and the lessons it teaches the reader about family, challenging times in life, and the importance of always having hope and striving to make your dreams come true. 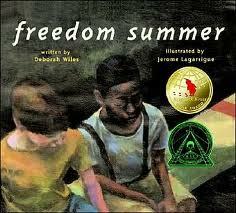 Freedom Summer by Deborah Wiles is my favorite picture book to read aloud during our Historical Fiction Unit. I love the strong friendship in this story regardless of race, the symbolism throughout the book, and how it brings the civil rights movement to life for the readers. I read this book aloud at the beginning of our Historical Fiction Unit, but refer to it in mini lessons during reading and writing workshop throughout the school year. 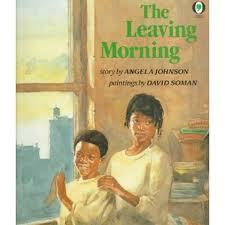 The Leaving Morning by Angela Johnson is an "old" favorite of mine. I love how Angela Johnson stretches out one small moment of saying good-bye when it is time to move. Since I had my share of moving while growing up, this book resonated with me the first time I read it many years ago. I love to use this book as a mentor text in writing workshop to study Angela Johnson's craft of stretching out small ordinary moments in our lives. 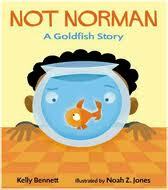 Not Norman by Kellly Bennett is a fun story about a boy who really wants a pet, but ends up getting a fish instead. Throughout the story he makes it his mission to get rid of the goldfish and get a "real" pet instead. After many unsuccessful attempts, he begins to change his mindset and opinion about Norman, the goldfish. I read aloud this book during our Character Unit and it is a perfect book to model and discuss character change, cause/effect, and connections across texts. The Table Where Rich People Sit by Byrd Baylor is another "old" favorite of mine and I have read it aloud each year for many years. 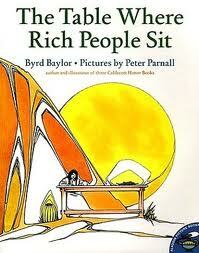 This book teaches the important life lesson that people can be rich in many ways besides with money. I love how sassy the character, Mountain Girl, is in this book while she accuses her parents of not being hard workers or having ambition because she thinks they are poor. The students love her sassiness and are always shocked that she speaks to her parents the way she does about their finances as a family. This is an important book to read aloud to discuss our perspectives in life and that money or materials do not bring happiness, but the love of family and friends can. I love all of Eve Bunting's books and I would list all of them if I could! 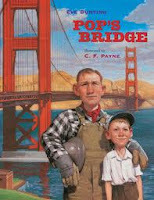 I read aloud Pop's Bridge during our Launching Unit or Character Unit in reading workshop and refer back to it during our Social Issues Unit. I love how the main character, Robert, changes his mindset throughout the story from thinking his father was the most important worker building the Golden Gate Bridge to realizing that it takes a team to build it and that all jobs are equally important. I also love the symbolism of the puzzle piece in this story and the author's note at the end that gives more information about the building of the Golden Gate Bridge and the heartbreaking accident that took the lives of some workers. 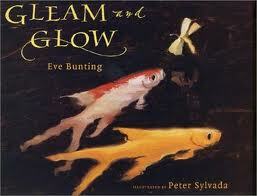 Gleam and Glow is another book by Eve Bunting that I love. This inspiring story is based on true events about a Bosnian family that was forced to flee their country during a recent civil war. Information about the war and true events is given in the afterword at the end of the book. In this story, the father has to leave the family to fight in the war which leaves the mother and children alone to flee their home in search of safety at a refugee camp. They leave the fish, Gleam and Glow, behind as they begin their long walk to the refugee camp. Without spoiling the end of this story for anyone who hasn't read it, Gleam and Glow symbolize hope, strength, and resilience. 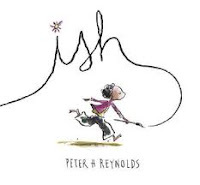 Ish by Peter Reynolds is one of my favorite books of his, along with The Dot (had to sneak this title in too!). Both of these books are great to read aloud at the beginning of the year to help build a positive classroom community. I read aloud both books during the first week of school and we discuss the messages in both of these books and how they can help us have a successful year as a community of learners. I have always had some graphic novels in my classroom for students, but I wasn't a big graphic novel reader myself. Yes, I read some books from the Big Nate and Diary of a Wimpy Kid series, but never dipped into reading others until this year. After joining Twitter this year and hearing so many great reviews about Babymouse, Squish, Lunch Lady and many others, I decided it was time to try out reading more graphic novels and I am so happy I did! As I wrote in other posts, I love the Lunch Lady series by Jarrett Krosoczka and can't wait for the next book to come out in the series. Now I know how the kids feel when they get hooked on a graphic novel series. This summer, I did some damage on Amazon and at my local bookstores buying more graphic novels to add to my classroom library. By reading more graphic novels this summer, I became more aware of how difficult it may be for some kids to navigate through this form of text and also how engaging it can be for reluctant readers. 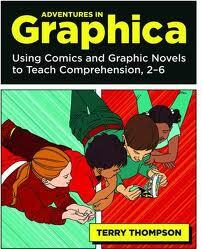 I heard about Adventures in Graphica: Using Comics and Graphic Novels to Teach Comprehension, 2-6 by Terry Thompson years ago, but kept putting it off in my TBR stack because maybe I wasn't ready to fully embrace graphic novels in my teaching since I wasn't familiar with as many as I am now. After reading many graphic novels this summer, I immediately bought Adventures in Graphica and absolutely loved it! I have been reading, rereading, and marking up the text this week with excitement to use the strategies and lessons Terry Thompson shares. In this professional book, Terry Thompson shares and explains ways to integrate graphic novels into our mini-lessons, small groups, and read aloud instruction. He shows us how important it is to teach students about the layout and organization of graphic novels, just like we teach students about text features and structures in nonfiction reading. I love his idea of having students engage in an inquiry lesson to explore graphic novels in small groups and chart what they notice about organization, conventions, and so on. There is one chapter dedicated to comprehension skills and how we can use graphic novels in our instruction to help teach summarizing, visualizing, inferring, monitoring, and synthesizing. This was one of my many favorite chapters. 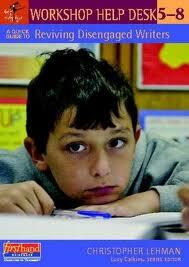 It is full of lessons and examples to help us shore up students thinking and strengthen comprehension. Another favorite chapter focuses on visualization and inferring. This chapter gives examples of how we can engage students during read aloud by sketching their own panels at the end of chapters to create a visual read aloud timeline in the classroom. This promotes the importance of visualization while also teaching how to summarize, determine importance, and synthesize the text as you read. My mother's birthday request was to go to the Coastal Maine Botanical Gardens so two of my daughters, my mother and I made a girls' trip out of it and headed for Maine. The girls are 16 and 14 so a garden was not on their top ten list but they love my mom and we stayed at a hotel in Freeport, a decent compromise for teenagers who love to shop since they could literally walk to the outlets. I walked around the gardens in awe of the magnitude, but also thinking as an educator and wondering what lessons the place could inspire in classrooms that are focusing on the Common Core and standards. Within the children's garden was a barn full of picture books. Children sat in rocking chairs alone and with parents taking a break from the sun and enjoying great books. I thought about how important it is to have reading choices and comfortable places for students to read. The kitchen garden also was set up within the children's space and the beans were growing up poles. Someone must have established a contest because the Olympic theme was in play for the beans. Children had been measuring the growth and charting the different plants. Anyone who wanted to participate in the medal predictions could do so by leaving a bean in the corresponding pot for a given plant. What meaningful measurement and graphing opportunities! Peter Rabbit had come to life for some of the children and there were opportunities to wash clothes on old fashioned washing boards. I listened to some of the parents explain how washing machines are a relatively new invention. The children asked questions about history and inventions. Because I helped to design a five senses garden at my children's elementary school, I am partial to the concept and the Five Senses Garden at the Coastal Maine Botanical Gardens is phenomenal. This is where the girls got foot massages by walking a labyrinth of smooth stones. Sound was the hardest for me to create in my five senses garden. In Maine, they set up stone echo chambers. How cool is that for teaching about sound waves! I sat in the meditation garden and did some writing while the girls and my mom headed to the gift shop. When we took students on their outdoor education experience, I loved writing with them outside. Sitting there in such peaceful and beautiful surroundings, I found it easy to write; the challenge was stopping since the rest of my group was ready to move on. Really, the list is endless and all of the ideas lead to writing. Imagine the persuasive writing children could do about composting if they understood how it helps the environment or the informational writing they could do to explain how perennials survive through winters. We talk and blog and tweet about rigor and relevance. Gardens and nature are so relevant to children! I'd love to hear how others are finding not only science lessons through gardening, but also writing, reading, and social studies lessons, not to mention opportunities for art and cooperative play. And, this bears repeating, if you have a chance to visit these gardens, don't miss it. I hope you are all enjoying the harvests and warmer waters of August. First of all, I want to thank Jen and Kellee for hosting What Are You Reading at their blog, Teachmentortexts.com. I have gotten so many great recommendations from them and from participants. 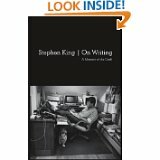 This week, a special shout-out to Jen for her review of Stephen King's On Writing. I have been reading this book as I have been working on my own book this week and it has helped me as a writer. Jen has many quotes in her review that I also highlighted and marked but there is so much wisdom about writing packed into this book and, I have to say, it's not a hard book to read. I was surprised by how funny Steven King, given his penchant for horror. I loved his statement that writing is telepathy. He emphasizes that writers transmit messages and images and readers receive them. I'm looking forward to sharing the way that he describes this process with students. Stephen King writes about a toolbox that writers must have. I especially loved how he addresses writing in the active voice. Again, I can't wait to share some of the passages (although we will have to omit a part or two because King did not write this book for elementary students, although it's funny!) to show students the difference between active and passive voice. As a writer, Stephen King made me question how I think about plot. He writes that "Plot is, I think, the good writer's last resort and the dullard's first choice" (p. 164) and that he puts a "group of characters (perhaps a pair; perhaps even just one) into some sort of predicament and then watch them try to work their way free, or manipulate them to safety." (p. 164) These ideas of creating situation and characters aren't new to me but I have to admit, as a teacher of writing, I have emphasized that students should know the resolution before they start their narratives. As a writer, I love the freedom of letting the characters figure things out and evolve but as a teacher of writing, I'm not sure about how it would look in the classroom. I think it has great potential for notebook entries, though--situations, characters, and working their way toward a solution. Hmmm. I also read Small Like an Elephant by Jennifer Jacobson and I think it has many places for teaching students about sharing the details of place or sending telepathic messages to readers about where you are, thank you Steven King. Jacobson does an amazing job of weaving the plot into the sense of place throughout this book. 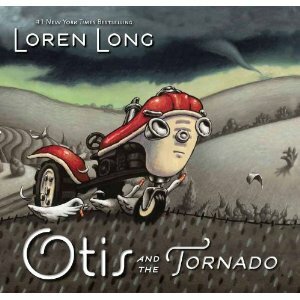 Otis and Otis and the Tornado by Loren Long are great picture books for units on imaginative fiction. Thinking a la Steven King, what if there was a tractor who had feelings and a bigger tractor came along and took over all of his work... I'm liking the "what if" concept for potentially reaching blocked writers. I have a lot of books on my stack for the last few weeks of summer. Thank you to all of you who share your reading lives!